Usually about this time of year, you see a lot of debate. 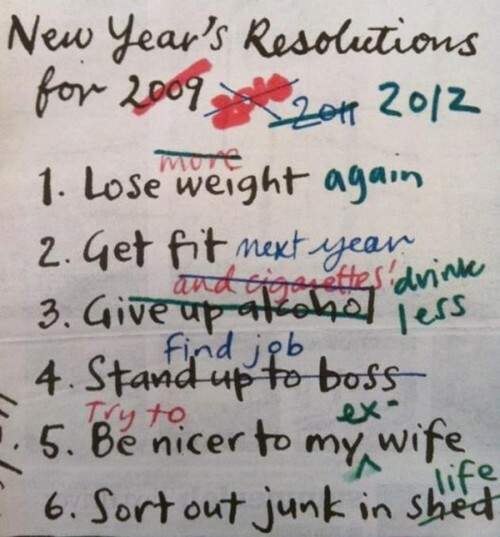 People don't like to do resolutions. Or they don't see the point of intentions or choosing a theme. But it works for me. And here are a few reasons why. First, I don't choose anything I'm not fully on board with. So while many choose happiness or joy as their word, I won't choose that. It's not that I don't want happiness. It's not that I won't experience joy in 2016. It's that I have other things to work on. But, and here's a very important consideration, if I were to choose happiness, I wouldn't expect happiness to just happen to me. I would keep happiness in my mind as often as possible and remind myself that happiness is a choice. And I would choose happiness over whatever else it is that I was feeling at the time. I would seek new things that make me happy. I would look for ways I sabotage happiness in my life. I would live my life in such a way that I'm prone to more happiness. I would WORK at happiness...maybe not 24/7, but, in general, I would be more aware of my state of being and how to change it to something more gleeful. I think a lot of the reason why people give up on choosing a word or resolution is either a) they choose an aspirational state they're not prepared for and b) hope that state happens to them without having to put forth effort. And sometimes, they c) just choose to work on too much. 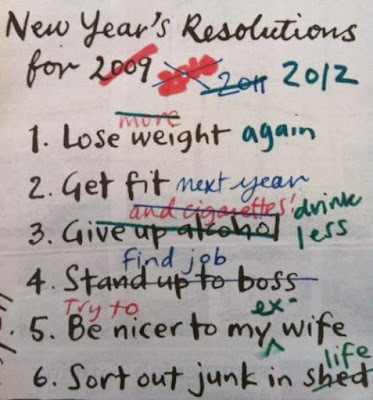 I know I've done that in the past...made a list of 10 things I wanted in the new year, then promptly forgot them all and gave up. So each year I choose one word and one phrase. The word is the thing I'm going to work on in the coming year and the phrase (as it seems to be turning out) is the thing I started in the past year and want to continue in the coming year. It's less of a focus than the word because it already has momentum behind it, though it always seems to support the word. The word, though, will become my mantra and I will create a habit of interrupting my thoughts with it as often as possible. Last year's word was "healing". And the phrase was "hold yourself to a higher standard." The four major happenings in my life of 2015 had both intertwined. There was a family conflict that helped me heal some things within and the way I dealt with it held myself to a higher standard. All the Florida trips—a total of four—I took in 2015 helped me heal fears around leaving my dogs and fears of traveling and also helped me hold myself to a higher standard. The "one better decision" practice I incorporated into my life also hit on both areas. And then, of course, the biggest healing of all, my hospital visit, helped uncover an issue I'd been suffering with for years and is opening new paths upon which I can hold myself to a higher standard in my life. I matter. I matter, so I could care less what you think about my word...haha. What I want for myself matters. What I do and say matters. This is a phrase that already has momentum behind it in my life. All the healing work I did last year happened because I matter. I had been treated like I didn't matter by my doctor, so I got a new one. I made changes in my personal life to eliminate certain elements of toxicity because I matter. I allowed myself to "indulge my illness" and rest, because I matter. And moving forward, I intend to consult myself first and consider my wants, rather than just accepting something because others want it that way. I'm not saying I won't compromise. Of course I'll compromise and consider all points. But I won't be such a pushover anymore. "I matter" goes beyond that, though. It also speaks to how I present myself to the world and what I expect in return from the world. From the way I dress to the way I respond to the actions of others to the way I "show up" socially, I need to show I matter more. And not just for the sake of others so they're "on notice that Tierney matters and won't be a pushover", but also for my own sake because, between clients and dogs and attending to the needs of life, I tend to forget I matter sometimes. I also forget that what I do and say matters to others. I'm sure it sounds funny to people who are married and have children, but single people tend to put themselves last, too. I put my own self care to the side for all the million responsibilities of daily life. And, having been sick and unable to accomplish everything, I accomplished what HAD to be accomplished, which was basically my job and caring for the dogs. There was often no energy left for anyone or anything else. So I need to remind myself that I matter, too. This phrase, by the way, was inspired by Iyanla Van Sant. So I hereby welcome in my year of letting go, with some "I matter" on the side. There will be times I forget both things. There will be times I remember, but nonetheless hold on or act like I don't matter. But here's to all the times that letting go and mattering move me forward in life. With all I've been through physically, mentally and emotionally the last few years, I have a lot to let go of and a big deficit of "I matter" to replenish. And, I believe pursuing all that will lead me to joy and happiness. So this is why I do this every year—not to lure magic into my life, though that will undoubtedly happen—but to focus me in a single direction with one thing to work on and one thing to keep in mind as I do so. With that, I can create my own magic and grow in the ways I need to in order to become happy and whole.